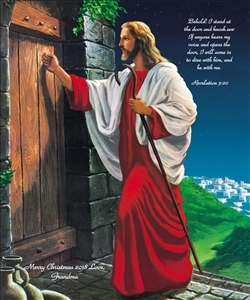 HE is knocking at your door! Personalize this beautiful oil painting print with your own quote for someone you really care. Our saying reads: Behold! 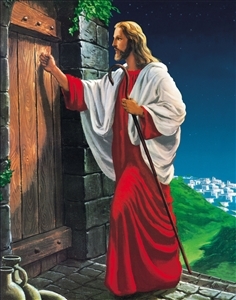 I stand at the door and knock. If anyone hears my voice and opens the door, I will come in to dine with him, and he with me. Revelation 3:20. Quality Print with great service.